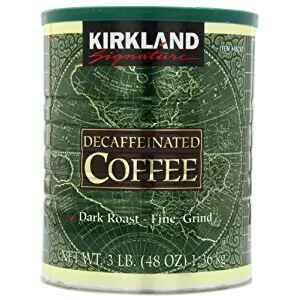 Decaf obviously stands for decaffeinated coffee that has had nearly 98% of the caffeine removed through the extraction process. The removal of caffeine from coffee beans is not a difficult task and is usually performed using carbon dioxide, organic food solvents or water. For example, if a farmer will decide to use food solvents to extract caffeine he would need to saturate the coffee beans with the solvent and then remove the solvent and caffeine with it. The decaffeination process must always take place before the coffee beans are roasted and blended moreover FDA’s strict guidelines dictate that decaf coffee should have the same nutritional values as regular coffee. Only caffeine level is allowed to vary in the nutritional chart. However, decaf coffee will taste a little different from regular coffee plus the aroma is very likely to change as well. 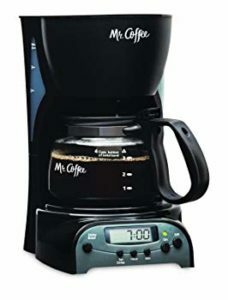 Moreover, decaf is often loved by individuals who prefer mild tasting coffee as opposed to bitter tasting dark roasted strong coffee. Is decaf coffee completely free from caffeine? 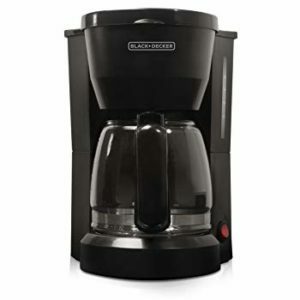 Many individuals falsely believe that decaf coffee does not contain any caffeine. Sadly, this assumption is wrong because decaf does contain small traces of caffeine. The usual caffeine level in decaf coffee is about 3 milligrams per standard cup of decaf coffee whereas a regular cup of coffee would contain anywhere between 60-150 milligrams of caffeine widely depending on the coffee roast, blend and preparation method. Moreover, decaf coffee still contains all the antioxidants than a cup of regular coffee would contain. Though, the latest testing and studies have shown that decaf coffee does contain up to 15% fewer antioxidants than regular caffeinated coffee does. The main antioxidants in coffee are considered to be polyphenols and hydrocinnamic acids that are known to neutralize harmful radicals in our body. These antioxidants could potentially help prevent serious disease such as cancer, type 2 diabetes as well as heart attacks. Lastly, it has been proven that a cup of decaf coffee contains at least 4% of daily recommended doses of potassium, niacin and magnesium. How Decaf Coffee is Made? What are the Advantages of Decaf Coffee? Kirkland’s wide range of different coffee is loved by millions around the world, especially for its rich dark roast coffee taste. The beans are carefully roasted and then freeze-dried at local plants around the USA. Moreover, the beans have been certified and meet the strict guidelines of SCAA speciality grade of the coffee standard. Moreover, the beans are 100% sourced through fair trade programs from Columbian mountain lands. Overall, this instant coffee has been described as slightly bitter with very mild acid taste plus you could simply control the acidity be either adding more or less of instant coffee. Coffee lovers around the world have described this decaf coffee as tasting very smooth and delicious with a velvety aftertaste. It goes great with sweet desserts and even chocolate cakes. The coffee beans used to make Kicking Horse Kosher Decaf Coffee are harvested from South America and Indonesia. Moreover, the beans are certified as organic and are imported through fair trade programs that ensure farmers who grow these beans get a fair price for their produce. 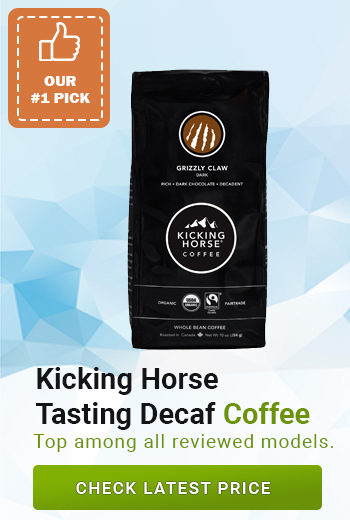 Customers have reported loving this decaf coffee as it has a mild taste with velvety after taste that does not feel bitter or acidic. 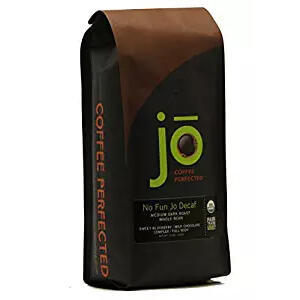 Jo Coffee Organic Dark Roast Decaf Coffee offers a very aromatic and delicious tasting coffee without any caffeine. 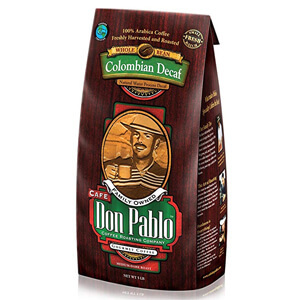 The beans used to make this decaf coffee blend are harvested from Ecuador and are roasted carefully so as to gain the most delicious decaf coffee possible. The glass jar will ensure that the instant coffee stays fresh for a longer period of time just make sure no water gets inside and remember to always use only dry spoons. Moreover, customers have reported the coffee having a very pleasant and low acidity taste without any burnt after taste. 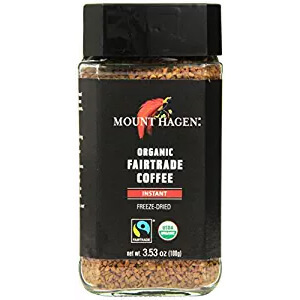 Mount Hagen Freeze Dried Decaf Coffee is often recommended for individuals that enjoy medium roasted coffee with a flavor but without any caffeine. The coffee mix contains sugar and milk hence you will only need to fill your cup with hot water to enjoy this delicious drink. The blend is a mix of freshly roasted coffee beans that have been freeze-dried after being imported from Central American mountain highlands. Coffee lovers around the world have described this decaf coffee as tasting very smooth and delicious with a velvety aftertaste. It goes great with sweet desserts and even chocolate cakes. 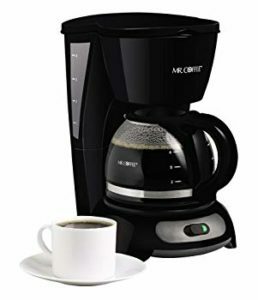 You can use Fresh Roasted Organic Whole Bean Decaf Coffee to make yourself or your guests a delicious and aromatic cup of decaffeinated coffee plus you could even add frother milk for added taste. 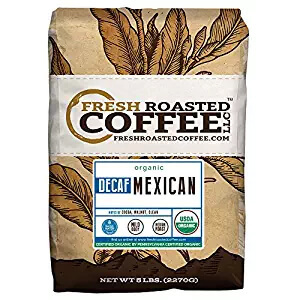 Customers have loved this decaf coffee for decades that is has been on the market and has said that it is very rich in taste with a light chocolate flavor. However, some customers have reported feeling that this organic decaf coffee is too high in acidity. On a positive note, the beans are roasted at a state of the art plant that has strict quality control as well as a team of coffee tasters to ensure high quality of the coffee. 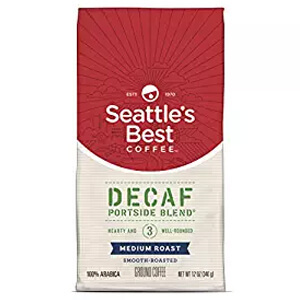 Seattle’s Best Decaf Portside Blend Coffee has been on the market since the 1970s and the family brand has gained a loyal customer base thanks to high-quality coffee. They grow their own coffee around the world in countries such as South America, Ecuador, Indonesia and Ghana. Once the coffee is harvested, it is roasted in Seattle in small batches. The coffee beans are roasted to have a medium to dark color and will be great for individuals who love to drink decaf coffee with some milk and sugar. Verena Medium Roasted Decaf Coffee will be great for individuals wanting medium roasted decaf coffee with slight vanilla flavor. 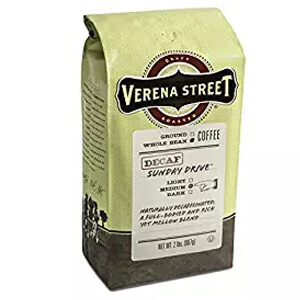 The Verena Decaf Coffee is made from a blend of two different roasts; medium and dark roast. Customers have reported this coffee being great on its own without any sugar or milk plus the Verena uses a mix of Arabica and Robusta beans in all of their coffee blends. Moreover, the coffee has been tested and certified as 100% organic thus it does not contain any traces of GMO, pesticides or insecticides. 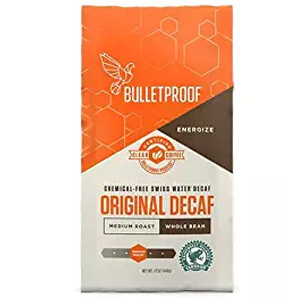 The Original Bulletproof Whole Bean Decaf Coffee is loved by millions around the world, especially for its rich dark roast coffee taste. The beans are carefully roasted and then freeze-dried at local plants around the USA. Moreover, the beans have been certified and meet the strict guidelines of SCAA speciality grade of the coffee standard. 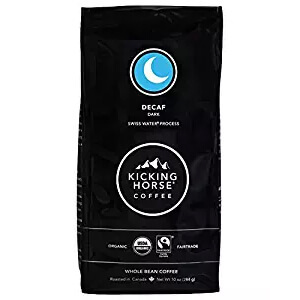 Overall, this decaf coffee has been described as slightly bitter with very mild acid taste plus you could simply control the acidity be either adding more or less of instant coffee. 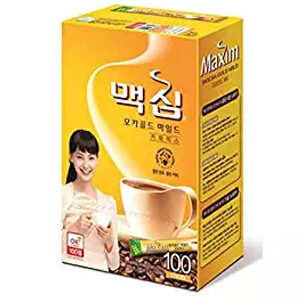 Maxim Decaf Mild Coffee Mix is often recommended for individuals that enjoy medium roasted coffee with a flavor. The coffee mix contains sugar and milk hence you will only need to fill your cup with hot water to enjoy this delicious drink. Often, decaf coffee is manufactured using a freeze-drying process that involves a sublimation method of removing water. Moreover, the freeze-drying process is considered to make higher quality decaf coffee than other processes. The freeze drying process begins by quickly freezing coffee beans that are then broken down into small granules. The coffee beans are quickly frozen because otherwise, large ice crystals would form. Once the freezing process is done, all the granules are carefully sifted and sorted as per their size. Then, the frozen granules are placed on large metal trays and placed inside a specially designed chamber for drying. 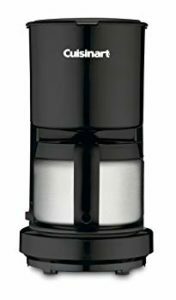 In order to increase the drying up process, a vacuum is created plus it helps preserve the aroma and taste qualities of decaf coffee. Furthermore, at the condensation level, the coffee granules expand to nearly 11 times its previous volume hence the removal of that vapor is really important for good quality decaf coffee, therefore, the condenser is usually the most expensive part in the factory plant. Coffee including decaf coffee is known to be a great stimulant that helps decrease fatigue and increase alertness even when you are tired. This happens as a result of caffeine getting into your bloodstream, however, decaf has very low levels of caffeine and as a result, has a much weaker stimulant effect. Nevertheless, it has been proven to improve mental and memory functions as well as improve overall mood by increasing the production of serotonin. Moreover, decaf coffee can help burn fat because it increases the rate of metabolism while reducing the risk of rectal and liver cancer. Lastly, remember that many people falsely believe that decaf coffee does not contain any caffeine. Sadly, this assumption is wrong because decaf does contain small traces of caffeine. Moreover, decaf coffee still contains all the antioxidants than a cup of regular coffee would contain. Though, the latest testing and studies have shown that decaf coffee does contain up to 15% fewer antioxidants than regular caffeinated coffee does. The usual caffeine level in decaf coffee is about 3 milligrams per standard cup of decaf coffee whereas a regular cup of coffee would contain anywhere between up to 20 times that amount of caffeine. 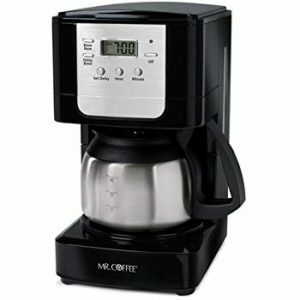 The amount of caffeine will widely depend on the coffee roast as well as the type of blend. The main difference between a regular cup of coffee and decaf coffee is of course taste and aroma. Moreover, contrary to popular belief that coffee is not good for health, scientists have proven that decaf coffee can help reduce the risk of stomach acid in coffee drinkers because it causes less acid reflux and as result heartburn. Plus, the latest studies by the University of Idaho has shown that decaf coffee drinkers have a significantly lower risk of developing rectal cancer in addition to type 2 diabetes. In conclusion, I hope this article has proven that decaf coffee can be just as delicious as regular coffee but will be much lighter on your stomach especially if you are suffering from acid reflux or heartburn. Moreover, if you have someone in your family with type 2 diabetes then you might be at risk as well hence schedule a doctor’s appointment to run some tests and see what risk you might have. In the meantime think about switching from your regular coffee to one of the best decaf coffee we have mentioned in this list.